DIY research company SurveyMonkey has expanded the text analysis capabilities of its platform, adding machine learning and natural language processing technology to help enterprise customers uncover business insights. The newest feature on the SurveyMonkey platform is a tool called 'Sentiment Analysis', which automatically classifies responses as positive, neutral, negative or undefined. One of the existing features - Word Cloud - has been upgraded to help customers draw out insights behind text responses, by visualizing the most common words and phrases without manual coding or tagging of data. Word Cloud identifies singular and plural words, tense variation, and similar words and phrases, then groups them together to display as a single phrase. Customers can personalize their 'word clouds' by customizing the font, colors and phrases, including hiding certain words and controlling how many words appear in the cloud. These features build on the Results Dashboard feature that SurveyMonkey launched last year to help customers tell and share stories with data visualizations created for them. 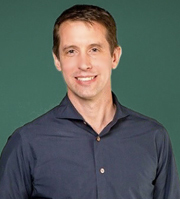 Chief Product Officer Ross Moser (pictured) comments: 'Sentiment Analysis and Word Cloud use natural language processing and machine learning to do the work for our customers, by analyzing the data and displaying the insights in a visual, simple way. We're continuing to invest heavily in advanced analytics so that our customers can have a powerful data storytelling tool at their fingertips'.